Shopping for a new MINI Cooper Countryman? Save most of your pennies for the upgraded powertrain in the Cooper S Countryman. The base engine isn’t enough on its own. The 2018 Mini Countryman is a compact crossover that adapts the automaker's shape into a bigger body. 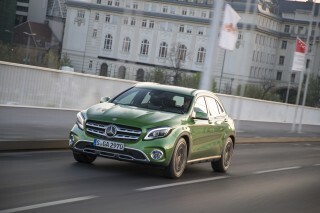 It's newly available with a plug-in hybrid powertrain, which is the automaker's first. Following a redesign last year, the 2018 Mini Countryman carries forward this year with the new plug-in hybrid version and some package reshuffling. A rearview camera is standard on all models, and when your Countryman was made makes a difference: John Cooper Works editions and plug-in hybrid models produced before June 2017 won’t support Apple CarPlay, but all other models equipped with an optional tech package can. Some shoppers might be surprised to hear that all Countryman models share skeletons with BMW’s similarly priced crossover, too. 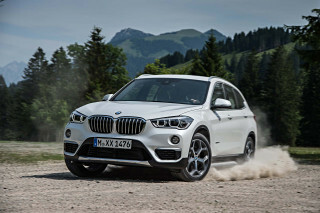 The BMW X1 is loosely related to the Countryman—as will other upcoming BMW models—but ironically, Mini makes the “ultimate driving machine” of the two. 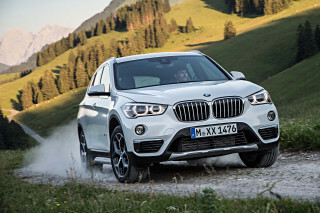 That’s because the Mini Countryman comes standard with a 6-speed manual transmission—BMW doesn’t offer one on the X1—and the high-po John Cooper Works edition is a scream. Base Countryman models are powered by a turbocharged inline-3, while Cooper S Countryman and John Cooper Works models feature a turbo-4. The Countryman can be uniquely appointed with the full menu of Mini’s customization features that means no two have to look alike. Unmistakably a Mini, the Countryman’s looks strike out on a decidedly butch tangent. Unmistakably a Mini, the 2018 Countryman makes its claim with bigger proportions, a taller stance and blockier lights. The Countryman also gets creases that the Cooper doesn’t, and a different grille and lower front and rear bumpers. The Mini Countryman expands on the classic Mini shape with more pronounced shoulders and haunches, a taller ride height, and proportionately more plastic cladding than the Mini Cooper. 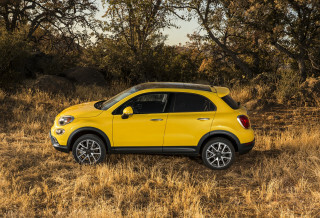 Up front, the grille is slightly different—it doesn’t reach as far down the lower fascia as the Cooper’s—and the Countryman’s fog lights are moved inward from the sides of the bumper. Plug-in hybrid models are virtually identical to their gasoline counterparts aside from a neon-colored charge port on the front fender. In back, the Countryman is fairly tidy with a long nameplate that spans most of the liftgate. Inside, the Coutryman presents a larger version of the Mini Cooper’s interior, which is to say quirky, but no longer “techno alien”-looking either. The Countryman places all the right dials and switches in appropriate places. A large round infotainment display dominates attention in the center of the car, with a 6.5-inch standard infotainment screen (upgradeable to 8.8 inches) dead center. Mini isn’t likely to change its fascination with ovals and ovoid shapes anytime soon, but the Countryman manages to look modern without being overly kitschy. All Minis still feel like a Mini—even the Countryman—and that’s a good thing. The new plug-in hybrid version is upfront about its capabilities, but its price may deter some shoppers. The plug-in hybrid version is clearly the heaviest version, given its battery pack and rear electric motor, and while it's still decent to toss around, it's hardly in the same league as the basic Mini Cooper hardtop, especially with the 3-cylinder engine. The Mini Cooper S E Countryman All4, to give it its full title, works well as a hybrid Countryman but Mini is quite upfront about marketing it as a high-mileage crossover you don't ever have to plug in if you don't want to. That will infuriate electric-car fans, but the 12-mile EPA-rated range is at least realistic, unlike the ratings on BMW models with less powerful electric motors. On the road, with charge in the battery it will accelerate away from a stop electrically, if not as fast as on engine and battery combined, and hold all-electric power all the way up to highway speeds if you pay attention. We suspect many buyers won't bother. The engine is small enough and so well noise-suppressed that we had to listen for the sound of it switching on, and the added noise was more of a whir from somewhere beyond the firewall than the predictable hybrid howl of a small and overstressed engine. The Mini Countryman is a real family car, with plenty of room up for four adults and their gear. The 2018 Mini Countryman improves on the Cooper’s shortcomings—literally. The Countryman is more spacious with more cargo-carrying capacity. An interesting note: We deducted a point from the related X1 for its less-than-friendly front seats. The Mini Countryman escapes that demerit because its seats have more thigh bolstering and the bottoms aren’t as flat. The rear seats are better, and the Countryman has more available leg room than the Cooper (not the Clubman model, though) thanks to a longer 105.1-inch wheelbase. Thankfully the dual-panel sunroof doesn’t eat into head room too much, and our tallest editors found plenty of room inside the Countryman’s confines. With the rear seats up, the Countryman can hold 17.6 cubic feet of cargo, and 47.6 cubes with the seats folded flat. Mini doesn’t specify how much the plug-in hybrid’s batteries eat into usable cargo space, but the difference is relatively small. Most of the batteries are perched underneath the rear seat and eat into the overall size of the gas tank, not much of the cargo area. We’ll update this space when we hear official word from Mini. There isn’t much official safety data on the Mini Countryman yet. Independent and federal safety officials haven’t comprehensively tested the Mini Countryman since it was new last year. Only the IIHS has rated its crashworthiness in testing with “Good” scores for all its crash tests. In the absence of official results, Mini packs eight standard airbags into the Countryman including two front, two side, two side-curtain, and two knee airbags if things go pear-shaped. This year, Mini added a standard rearview camera (ahead of a federal mandate) and parking assistants to all models. 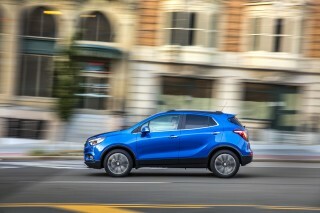 Optional safety features include adaptive cruise control and a head-up display. We recommend the former but would pass on the latter; the head-up display doubles as an eye test. Highly customizable, the Mini Countryman offers plenty of opportunities for luxury—and a higher price. The 2018 Mini Countryman is one of the most configurable cars on the road today. 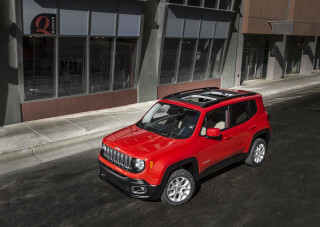 Myriad options are available to personalize the outside and inside of the crossover SUV. That may be appealing, but those costs can add up. 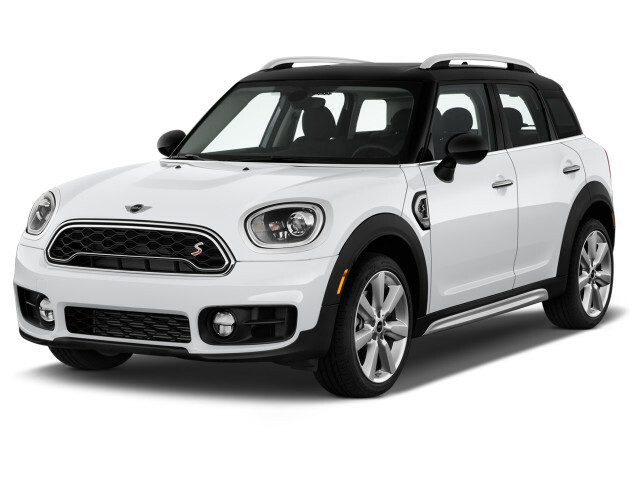 Thankfully, every Countryman is handsomely equipped with compelling features that help keep the price close to its $27,450 entry. Every Countryman comes equipped with 17-inch wheels (18-inchers are standard on Cooper S models), dual-zone climate control, a rearview camera, Bluetooth connectivity, synthetic leather upholstery, roof racks, a dual-panel sunroof, rain-sensing wipers and a 6.5-inch infotainment screen. -A $2,250 tech package adds a bigger infotainment display (8.8 inches), Apple CarPlay, and a head-up display. We like the bigger display and connected infotainment, but CarPlay through the controller and the small head-up display aren’t ideal presentations. 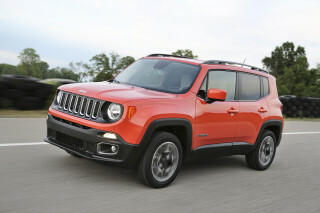 -A $2,000 premium package adds power adjustable front seats, a premium Harman Kardon stereo, and power tailgate. -Most cars won’t leave lots without a $750 convenience package that adds cargo straps, rear cupholders, a cargo management system, and more 12-volt outlets for $750. Frankly, it’s all equipment that we think should be standard. Among some of the options we’d recommend for shoppers would be the standalone adaptive dampers, which can smooth the ride, and a $250 sport steering wheel that acts as a gateway option to a few, more popular interior add-ons. JCW and plug-in hybrid models mostly mirror Cooper S versions in packaging and add-ons. A new plug-in hybrid model will tempt green-minded shoppers who have money, but most Countryman models will manage around 25 mpg combined. For 2018, Mini has added its first plug-in hybrid model to the Countryman range, a through-the-road hybrid setup that will appeal to a small section of buyers. The 2018 Mini Cooper S E Countryman ALL4 (their name, not ours) is rated by the EPA at 65 MPGe on gas and full electric power, 27 mpg combined as a hybrid. Countryman models with the turbo-3 don’t do any better. With all-wheel drive and an automatic transmission, base Countryman models are rated at 23/30/25 mpg. Put simply, the busy turbo-3 has to work harder to move the mass. Most models will manage 25 mpg combined, or slightly better, although swapping in a manual transmission dings mileage slightly from automatic-equipped counterparts. All-wheel drive alters mileage slightly, most front-drive models usually earn 1 mpg better across the board. The JCW Countryman is the thirstiest of all, and is rated at 21/31/24 mpg. 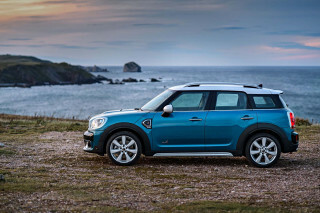 Looking for a different year of the MINI Cooper Countryman?